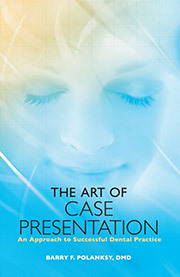 Presents tried-and-true ideas and methods for effective communication, blending positive psychology with leadership in dentistry. Describes the five elements of success and happiness, offering pathways to a flourishing dental practice. Considers the reasons why communication and leadership skills are important for dentists. Join the 3,000 dentists who have used Dr. Polansky''s book as their practice Bible. 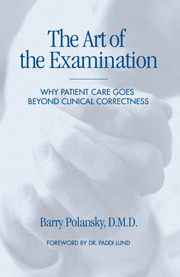 Dr. Barry Polansky’s enlightening book The Art of the Examination: Why Patient Care Goes Beyond Clinical Correctness shows you how proficiency in performing comprehensive examination enables you to provide patients with the best possible dentistry. Your examination will set the tone for your entire practice and send a positive message to your patients. 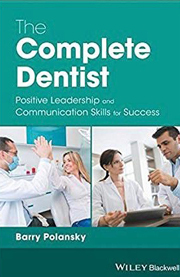 Not only does this book teach dentist how to perform the “soft skills” necessary to complete an exam, but it also shows you how to build trusting relationships with patients.